Meghalaya got its new Governor on Tuesday. Meghalaya Governor Ganga Prasad has been transferred and appointed as the Governor of Sikkim. 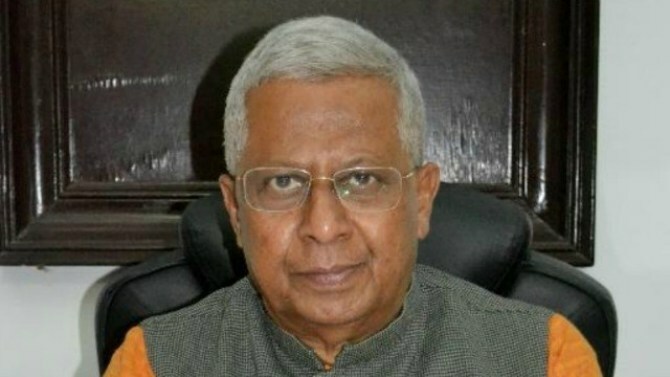 In Prasad’s place, Tripura Governor Tathagata Roy, Governor of Tripura, has been transferred and appointed as the new Governor of Meghalaya. According to the communiqué, Haryana Governor Kaptan Singh Solanki will be the Governor of Tripura. On the other hand, as per information, Bihar Governor Satya Pal Malik has been appointed as the Jammu and Kashmir Governor while BJP leader from Uttar Pradesh Lalji Tandon will take charge as the new Bihar Governor. Besides, former Bihar Minister Satyadev Narayan Arya has been appointed as the Governor of Haryana while Baby Rani Maurya will take charge as the Uttarakhand Governor. Maurya was a former State secretary of Uttar Pradesh BJP. A communique released by the Rashtrapati Bhavan stated that the appointments would take effect from the dates the incumbents assume charge of their respective offices. It may be mentioned that Tathagata Roy, who has been appointed as the new Meghalaya Governor, made a major faux-pas on Thursday by announcing on his Twitter handle that former Prime Minister Atal Behari Vajpayee had passed away few hours ahead of his demise. Roy even wrote a small tribute for Vajpayee, calling him a “silver-tongued orator” and a “very bright star on India’s political firmament”. However, minutes later, Roy realised his blunder and tweeted an apology, saying that he believed something “told by an all-India TV channel”. Roy also deleted his previous tweet on former PM Vajpayee.